← Did Someone Say “Guava”? Also, we are having a little Birthday Celebration for Miss Honelope and Miss P.Baker at Casa Latina tomorrow evening – Hellooooo Chimichangas – it’s been a long while =P more reviews on the restaurant to come after! Is to introduce FLASHBACK FRIDAYS!!! – because somethings are so good they need to be revisited again and again!!! In today’s installment – I’d like to reminisce on our Honeymoon to Italy in April 2012 – Peas and I actually got married in Oct 2009 – but work and waterpolo commitments made it hard to take 14-15 days off at a go – so we only managed to take our long-awaited honeymoon some 2.5 years later =) but better late than never right? But we were definitely mesmerized by the detail and life-likeness in this work of art. For those who have heard horror stories of the lines and waiting time to enter The Accademia and Uffizi, fear not – you can actually book express tickets online so you can cut the queue! Did you know that they named a Crayola Colour (Burnt Sienna) after this Tuscan city? – First picture was taken at the Pantheon – the Roman Temple just looks so harmonious and poetic – there was a serenity about just looking up and into the sky – we were really lucky to be at the Pantheon when it was sunny and rainy – all in the same day! 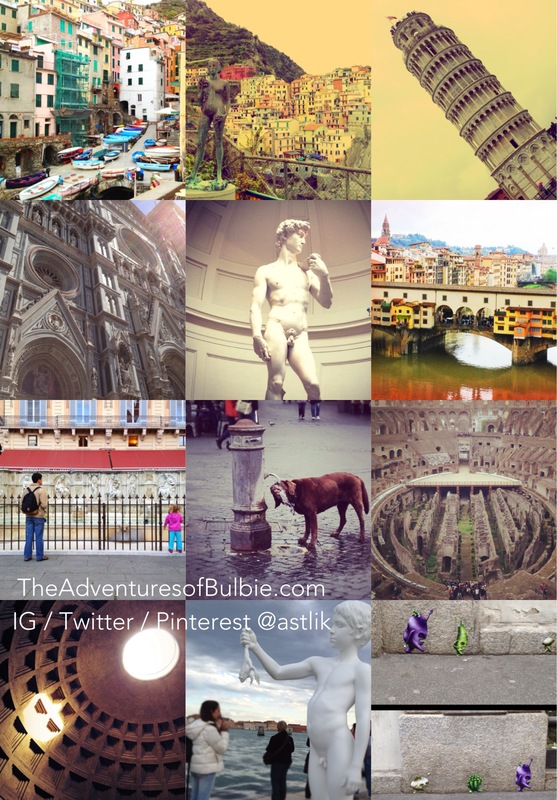 This entry was posted in Italy and tagged cinque terre, firenze, flashback friday, florence, friday roundup, honeymoon, italy, pisa, rome, siena, travel, tuscany. Bookmark the permalink.